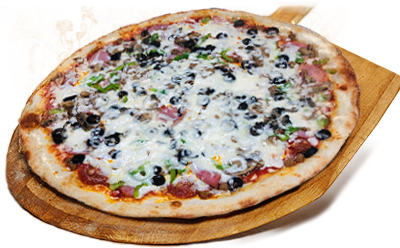 Pepperoni, Mushrooms, Sweet Onions, Black Olives, Hamburger,Canadian Bacon, Green Peppers and Extra Cheese make this a true pizza lovers delight! CALL NOW FOR A BROTHER'S SPECIAL! Brother’s Pizzeria has been bringing Houston ” a little taste of the Big Apple” since 1980. We offer the best Pizza, Pasta, Hot & Cold subs, Salads and other Italian specialties and desserts made fresh daily, using only the finest ingredients. We also serve a selection of Domestic and Imported Beers and Wines along with fountain and bottled soft drinks for yourrefreshment. Please visit us at our newest location in Garden Oaks or either of our 2 convenient Houston locations at Highway 6 & Cypress. Watch all the games on our Satellite Flat screen TV’s! 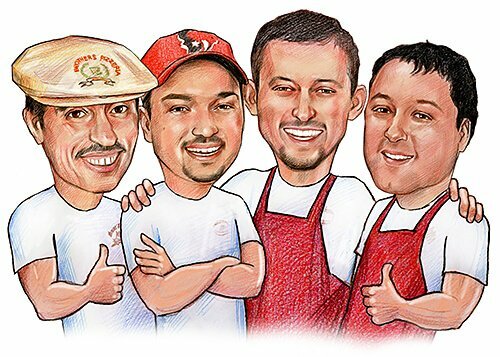 You can meet our family and see why Brother’s has been voted Houston’s best pizza place. Amex, Visa, MasterCard and Discover accepted. Hands down–the BEST pizza in Houston! This place is fantastic.